The London skyline is about to get a facelift, courtesy of this new building shaped like a flower. Aptly named the “Tulip,” the tower will be 1,000 feet high, making it the second tallest in London (just four feet behind the Shard). 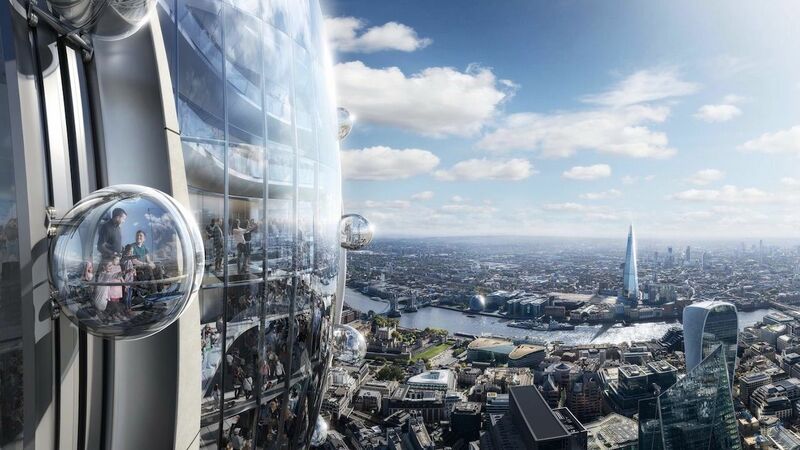 British architects Foster + Partners revealed plans for the building on Monday, with construction starting in 2020 and a completion date of 2025. While it’s still unclear exactly how the building will be used, the architects say it will serve as a cultural and educational resource, rather than a commercial or office space. The building furthers local government plans to create a “Culture Mile” to attract more visitors to London’s financial district. Atop a tall stem, the building will be topped by a glass bud, which is slated to house 360-degree viewing galleries, a bar, and restaurants. The site will also feature a small park, rooftop garden, and sky bridges between observation decks.